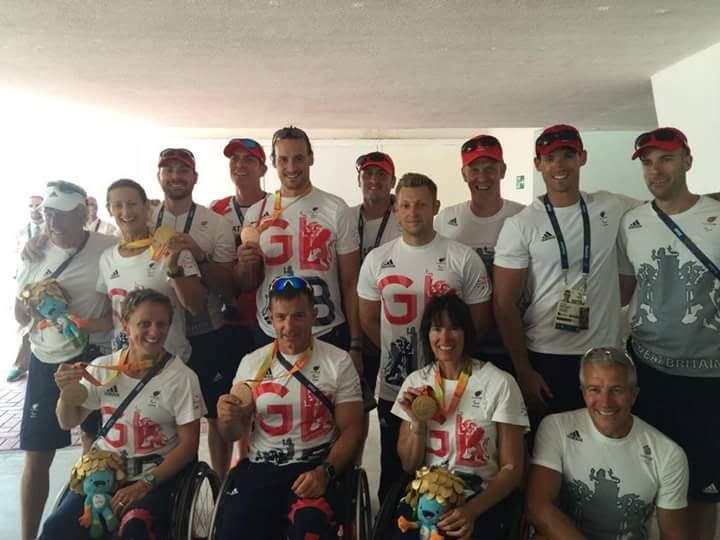 Yesterday saw my Paracanoe Team mates secure 3 Gold and 2 Bronze medals at the Paralympic Games in Rio. I was so, so proud to watch each and every one of them deliver the performance of their lives, and I know how much they’ve all given to the sport to make those results possible. To be honest, I watched the racing with mixed emotions. It was a complete privilege to have been part of the journey and to have trained along side such an incredible team. But yes, of course I wish I’d been there! I have complete admiration for every one of my team mates for delivering such incredible performances out in Rio, and I know how much it meant to them all. Awesome paddling guys!! The Games have been a huge learning experience for me, watching people achieve their dreams, and watching some people have their dreams come crashing down. What’s stood out for me, is the fact that we really can’t define people by the medal around their necks. The difference between success and failure can often be the matter of 100th’s of a second….but the same commitment, training, sacrifice and dedication has been part of every athlete’s life, no matter what the result. For me, it’s taught me that it really is about being the best person you can be….living by your values and treating people with respect. 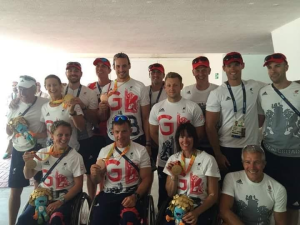 It’s been such an amazing achievement for all of the guys out at the Paralympics, and every medal won is so well deserved, but I’ve come away with as much respect and admiration for every single competitor, not just those that have achieved Gold. It’s also shown me that life is very much about living for every moment and grabbing every opportunity. I’ll admit, I was gutted when I missed out on selection for Rio, and the following few months were tough as I tried to find my identity again. But it’s amazing what opportunities can come along when we least expect them…..Tomorrow I’m off to Chamonix to take part in a training weekend with the Adaptive Grand Slam Team. The team are aiming to complete the mountaineering Grand Slam, that’s the 7 highest peaks in 7 continents, plus the North Pole and South Pole. They’re aiming to do this with an adaptive team….the first time this has ever been done. The aims and values of the team fall completely in line with my own values, and this feels like the most amazing opportunity. Although there’s no guarantee I’ll be part of the team for further expeditions, I’m excited about the challenge, I’m so looking forward to working with the incredible team….and I’m left wondering about what adventures lie around the corner. And none of this would’ve happened if I’d been selected for Rio!! You see, it’s all just part of the journey….you never know what’s around the corner, you never know where things will lead, but as long as you keep looking forwards and don’t spend all your time looking in the rear view mirror, then good things will come. Everything really does happen for a reason! This entry was posted in Blog, Kelda Writes, News on September 18, 2016 by Ruby.